The zebu are farmed for meat in some areas and the zebu is considered to be holy in India where the zebu is thought to have originated from. Zebus are know as hardy animals and it is said that they are much more resistant to diseases and parasites than any other cattle and have more sweat glands. Compared to other cattle species, zebus are relatively small animals. They can weigh between 331 and 440 pounds and reach 34 to 42 inches in length. Males are larger than females. Body of zebu is covered with short, dense fur that can be grey, white, red, brown or black in color. Certain species have spotted fur. Zebus can be easily recognized by the hump on their back. Besides that, zebus have flap of skin below their lower jaw and drooping ears. Just like in camels, hump serves as a reservoir of fat that can be used as a source of energy when regular food is not available. Both male and female zebus have horns. Zebus are grazers. Their diet mainly consists of grass. Other than that, zebus can consume seeds, leaves and flowers. Zebu can reach the speed of 25 miles per hour when it is faced with danger. Main predators of zebus are wild cats, bears and humans. Unlike other types of cattle, zebus are highly resistant to viruses and different types of parasites. This is one of the reasons why people often keep them as domestic animals. Zebu's meat and milk are used in human diet. Their dung is used as manure and fuel. In certain parts of the world, zebus are used for bull-riding in rodeo. Zebus live in large groups called herds. They are composed of males, females and their offspring. Zebus don't have specific time during the year that is reserved for mating. Instead, they mate throughout the whole year. Dominant male in the group is the only male that will mate with sexually mature females. Zebu reaches sexual maturity at the age of 1.5 years. Pregnancy in females lasts between 277 and 290 days and ends with one baby. 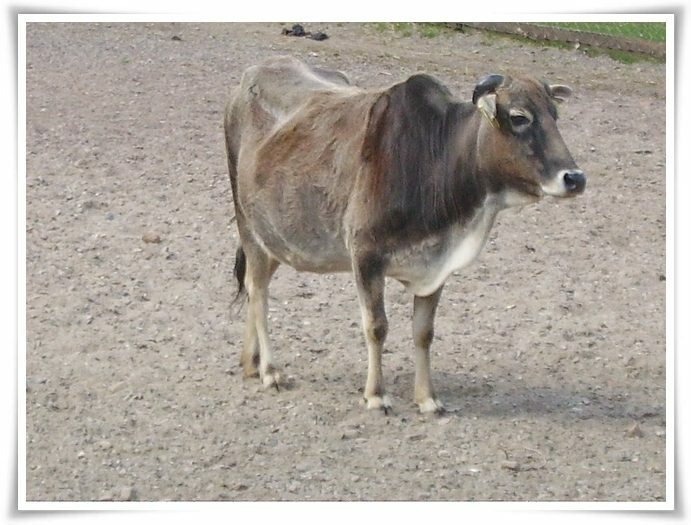 Zebu can be crossbreed with other species of cattle. Many species of zebus are created as a result of mixing zebus with gaurs, yaks and bantengs. Only genetically pure zebus have hump on their backs. On average, zebu can survive between 15 and 20 years in captivity.